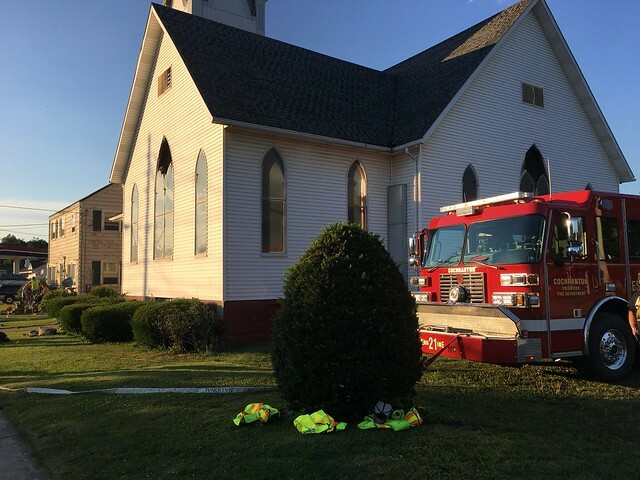 The local church in town is scheduled for demo this month to make way for their building, which gave us an opportunity to do some live training for the crews. We smoked the building for the younger guys to get some mask training. Set up a few scenarios for them. Then the next drill was to play with some high expansion foam and fill the basement. We go to use the foam equipment,different nozzles and some different applications . We had some great training and all learned something. Tuesday Night Drill. Helping a neighbor get rid of an old shed this evening. Good night to keep the guys in practice with some pump time and operations. June 2106. We participated in a water shuttle drill with Meadville Central Fire Dept. The drill was to work with neighboring departments near the city in moving big water, with out using hydrants. MFD set the drill up and the volunteer companies shuttled water to their Engine showing how volunteers move water in the country. We used Engine 422 for the drill. Good practice and good relationships between neighboring depts. 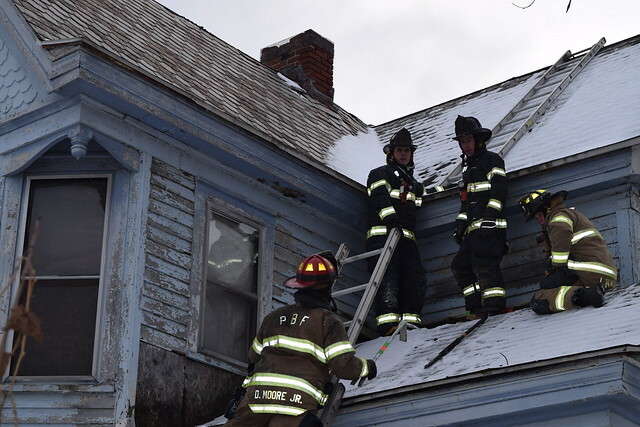 Cochranton Fire Dept sponsored a Truck Company Operations Class at a house in the boro that was scheduled to be razed. Pittsburgh Bureau of Fire instructors taught the class. Several neighboring departments participated in the training.